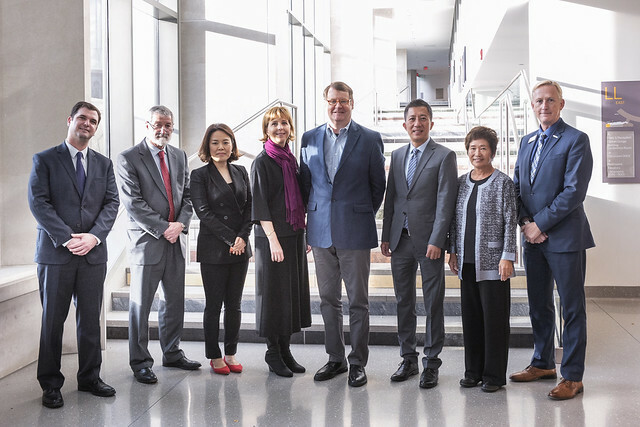 On October 10, 2018, CPD, Indiana University's Hamilton and Lugar School of Global and International Studies and The International Center brought together leading experts in public opinion and public diplomacy for a timely discussion to broaden our understanding of the critical issues in this volatile region. This program was part of CPD's "Public Diplomacy Goes Local" initiative; exploring the global public diplomacy landscape from a local vantage point. The inaugural program was held at the University of Oklahoma in fall 2017. This program was made possible by a grant from the Korea Foundation. Read more here. Trump's "Topsy-Turvy" Approach to North Korea: Ambassador Mark Minton discusses the public dimension of relationships in the region, such as the 2018 PyeongChang Winter Olympics and the highly publicized summit between the two leaders. Global Opinion & the Korean Peninsula: Jacob Poushter shares survey data on global public opinion, such as how much Americans fear North Korea’s nuclear problem, South Korea’s views of the U.S. and how threat is perceived in the region. PD, Denuclearization and the Peace Process: Emily Metzgar examines the critical importance of public diplomacy in denuclearization and establishing long-term peace in the region. The Public Health Implications of a Nuclear War: Ira Helfand considers the public health implications of nuclear war and how governments of states with nuclear weapons should respond. Below, please find Jacob's Pew data presentation, "Public Opinion on Issues Related to the Korean Peninsula." Click here to view photos from the event. Photo credit: Ann Schertz Photography. Icons are courtesy of Flat Icon Basic License and are attributed to Freepik.